Even here in sunny Spain soup is high on our family meal menu. The vegetables in season and available on the markets are perfect for a variety of hearty, tasty and of course healthy soups. Loads of root veg about now, mushrooms* are good, pumpkins of course, lovely fleshy ones. Any slightly squishy tomatoes can be used in soup. My fresh herbs are still doing well, even the annual basil is holding out. All in all a really “souper” time of year for those who like to cook. A family favourite with us in a fish soup which makes good use of the marvellously fresh and flavoursome leeks you can buy at present. Here’s the recipe enjoy! Onions, potatoes, garlic crushed, leeks. 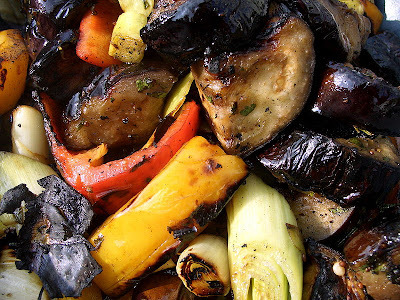 Sauté the Vegetables carefully but do not allow to brown. When the onions and leeks are looking transparent stir in a dessert spoon of flour per person, do this of the heat. Return to stove cook for a minute then slowly add enough stock to well cover the mixture ( add a little more during cooking as required while veg is cooking) reduce heat and simmer until veg are cooked. Season to taste. Just before serving heat the soup and add the fish a little at as time. Fish will cook in a very short time. To serve, liquor should be first with crusty bread followed by fish and veg topped with a mixture of oil. Lemon juice and parsley. If preferred you can serve all together. *a lot of these are grown in the area La Manchuela area if you’ve ever been up to Cuenca you will have seen the special growing buildings.